Considered by many to be one of the best second basemen in history. 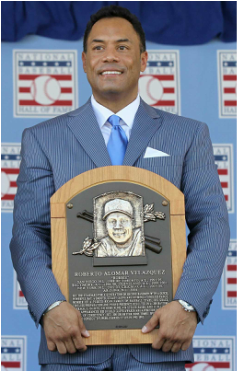 During his career, the 12-time All-Star won more Gold Gloves (10) than any other second baseman in baseball history, and also won the second-most Silver Slugger Awards (4) for a second baseman. 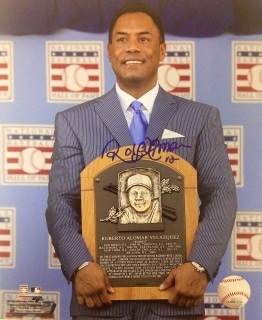 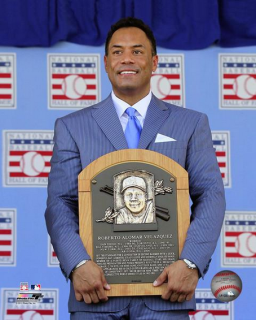 On January 5, 2011, Alomar was elected to the Baseball Hall of Fame, in his second year of eligibility. He became the first Hall of Fame member to be inducted as a Toronto Blue Jays player. 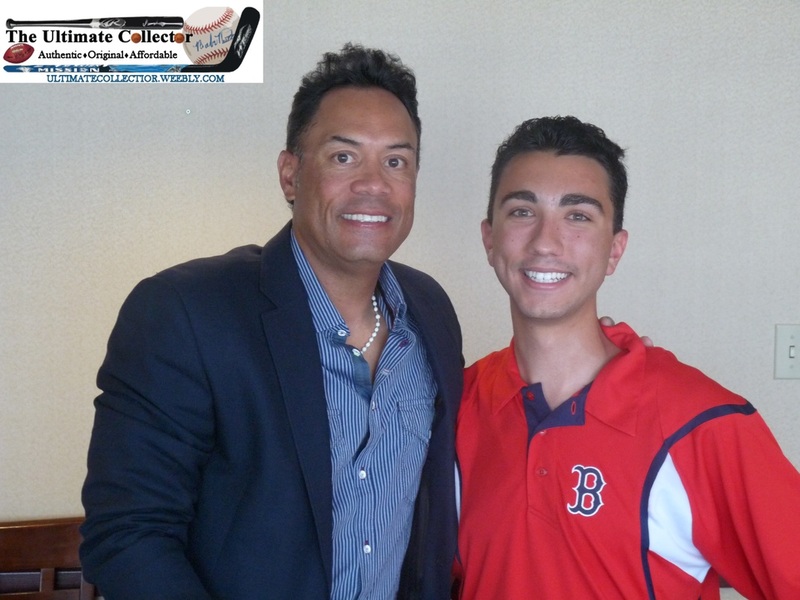 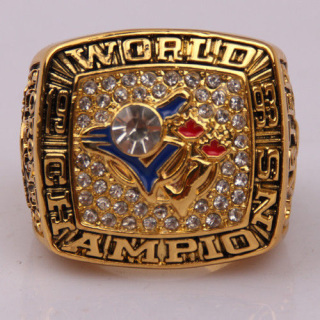 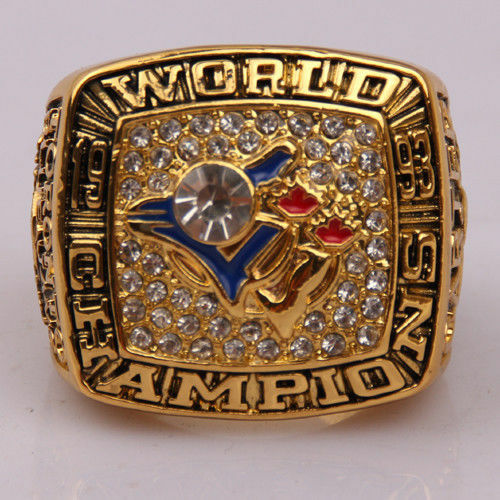 All items are hand signed, beautifully and personally autographed by Roberto Alomar. 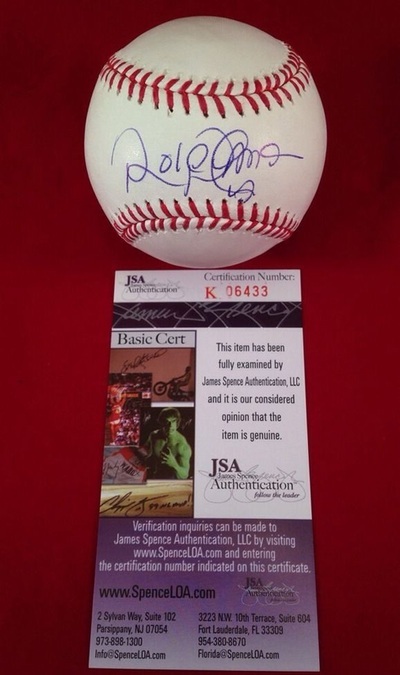 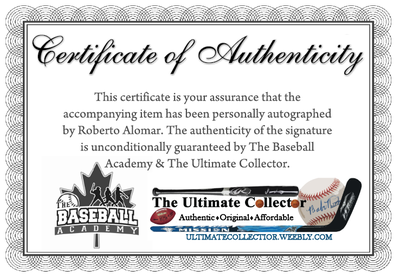 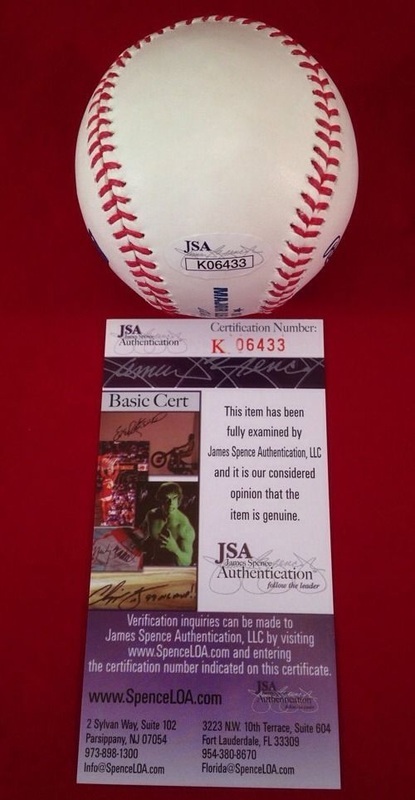 To protect your investment, a Certificate Of Authenticity from The Baseball Academy/ The Ultimate Collector (who held the signing) is included with your purchase for an unconditional lifetime guarantee of authenticity. 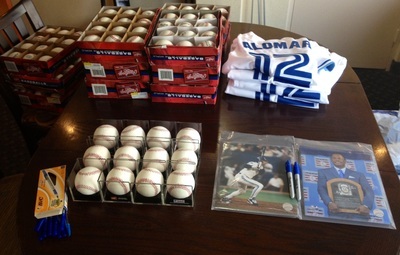 All items are from our private signing in June, 2014. Only a limited quantity available at this very low price! 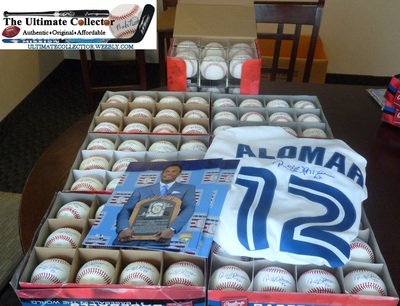 Hand signed Toronto Blue Jays Vintage Cooperstown Collection white (home) Replica Sewn Jersey by Roberto Alomar with a blue sharpie, includes a certificate of authenticity. ONLY 1 available, please contact us before buying! 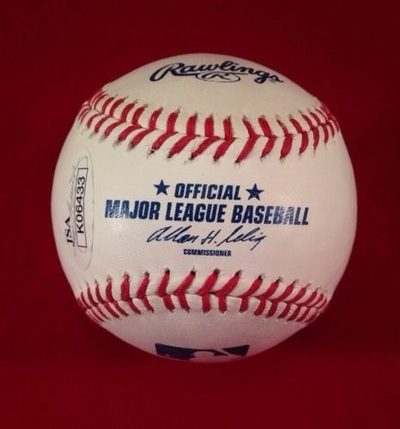 Hand signed Rawlings Official Major League Baseball on the sweet spot by Roberto Alomar with a blue pen, includes a certificate of authenticity. 2 or more available, please contact us before buying! 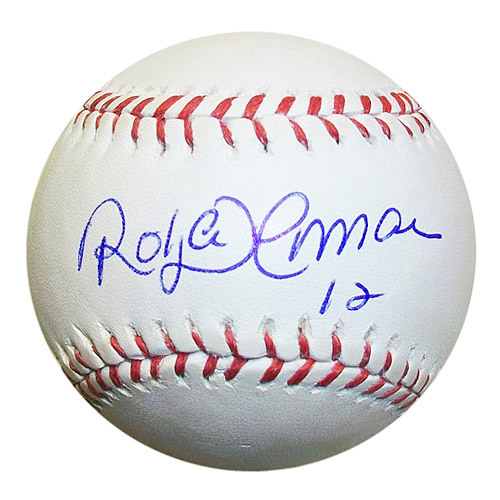 Hand signed Rawlings Official League Baseball on the sweet spot by Roberto Alomar with a blue pen, includes a certificate of authenticity. Hand signed RARE Hall of Fame induction officially licensed vertical 8x10 pin and plate framed photo by Roberto Alomar with a blue sharpie, includes a certificate of authenticity. 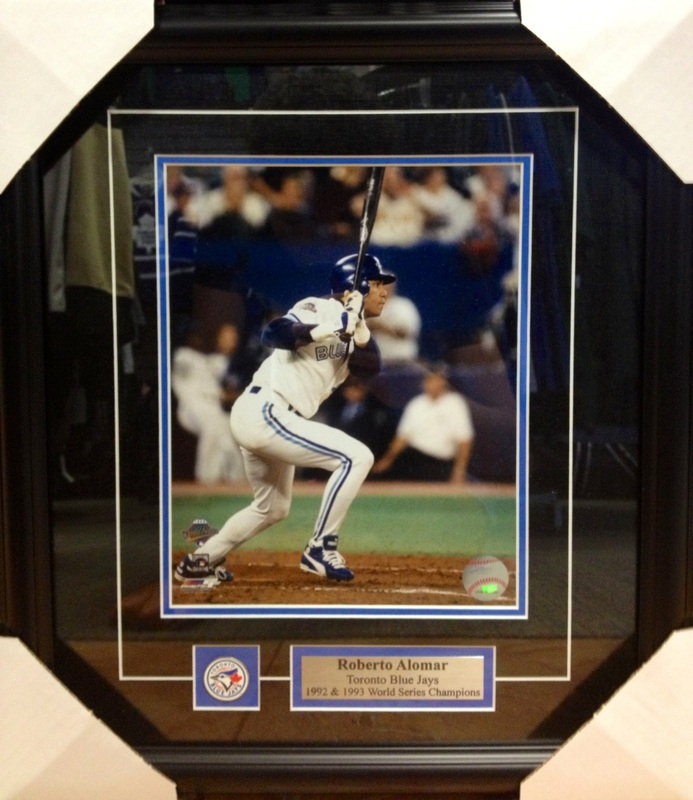 Plate inscription: "Roberto Alomar, Toronto Blue Jays, Hall of Fame 2011"
Toronto Blue Jays pin & plate framed vertical 8x10 photo of Roberto Alomar from the 1993 World Series. 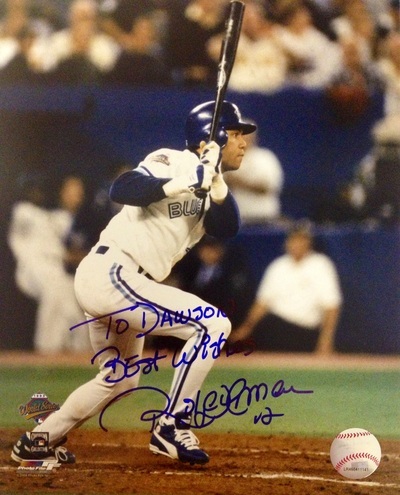 Hand signed RARE Hall of Fame induction officially licensed vertical 8x10 photo by Roberto Alomar with a blue sharpie, includes a certificate of authenticity. 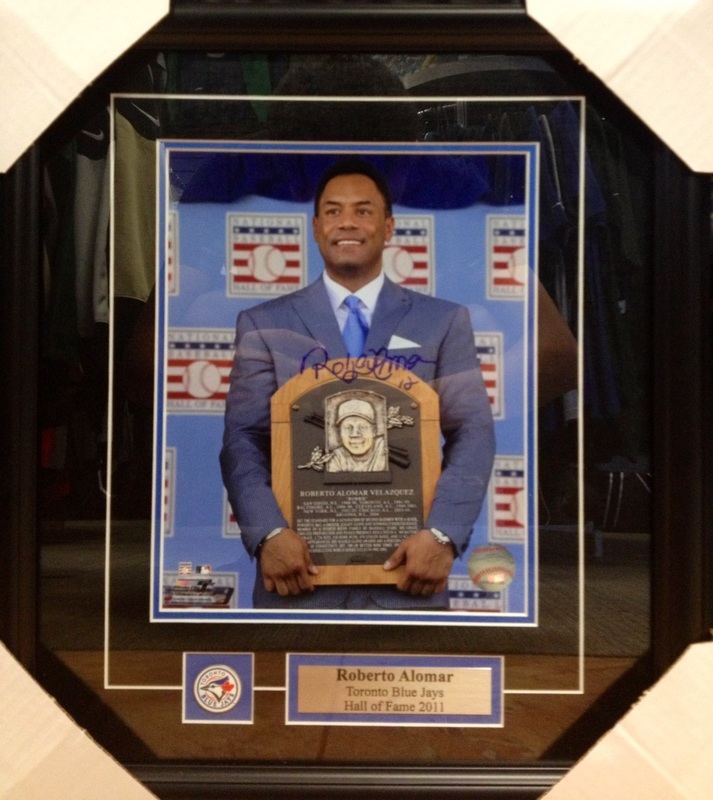 Toronto Blue Jays pin & plate framed vertical 8x10 photo of Roberto Alomar from his Hall of Fame induction.